Are you a saver? Do you not burn your favorite candle because you're saving it for a special occasion, or buy cocktail napkins and matchbooks that you only use when you have friends over? We had some friends over a few weekends ago, and ever since I have been lighting my favorite Christmas-tree scented candle, and using the cocktail napkins I bought for the party, even when it's just us two having a beer after work. And I don't feel guilty about it, not even a little bit. 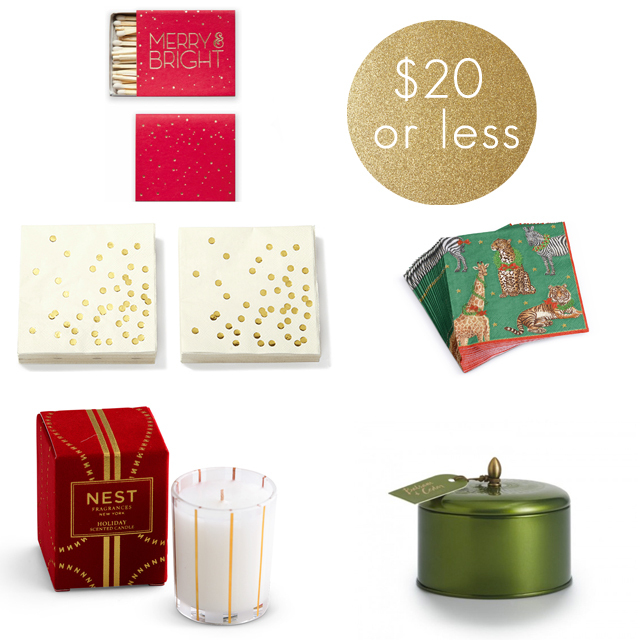 It's just under a week before Christmas, and Chanukah started last night, so here are a few of my favorite picks for candles, napkins, and matches to not save for a special occasion. I'm going to follow your lead and start burning my candles!